One of the most common questions we get asked by brides and grooms is to do fun wedding party shots. Probably about 80% of our large wedding we do involve a series of fun and unique shots of the entire Bridal party. The one above was requested by the groom and its called the Evolution. It is supposed to mock the typical series of photos that you see with the so called Evolution of Man showing a series of photos starting with apes and then ending with humans. It's always nice to show the venue in the background of these types of photos so you have some sort of reference. This is not our most popular Wedding party fun shot and there are many others. 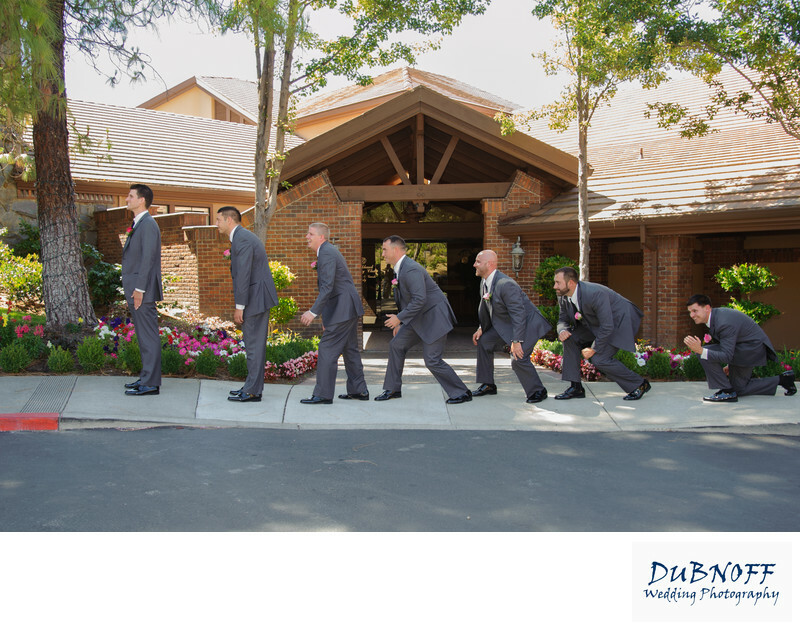 Here is a partial list of some of our favorite wedding party fun images.